AceThinker Music Recorder her tür kaynaktan kolaylıkla ses kaydedebilen ve müzik koleksiyonunuzu zenginleştiren bir programdır. Kayıt gerçekleştikten sonra uygulama otomatik olarak ID3 taglerini almaktadır. İstenilen parçaları içindeki arama motoruyla kolayca bulur kaydedebilirsiniz. Kütüphanenize favori programları ve radyo istasyonlarını da ekler. Ses dönüştürücüsü, oynatıcısı, iTunes transferi vb. işlemlerini de rahatlıkla yapabilirsiniz. Not: Program için 1 sene ücretsiz güncelleme yapılabilmektedir! A handy tool for you to record Windows/Mac computer screen along with webcam, sounds and more. It provides a robust toolbar for you to control over the screencast while you can annotate on screen in real time. 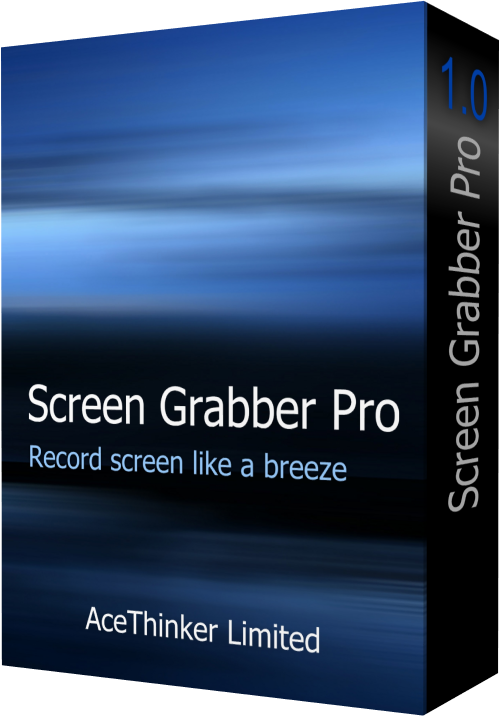 It also features a scheduler for automatic screen recording, video converter, built-in player and more. 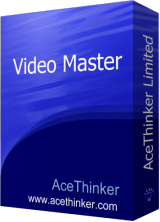 AceThinker Online Video Downloader enables you to download videos from 100+ platforms by simply entering the link. It’s 100% free with no restriction to duration of the the video or others. Within a few clicks, you can save the video in the desired resolution and format in a few minutes. 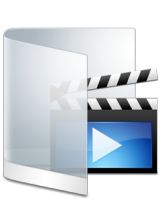 This suite features audio/video converter, screen recorder, MV maker (photo album creator), video editor, player and downloader. You’ll be able to customize your own videos or to enhance video files without any hassle. 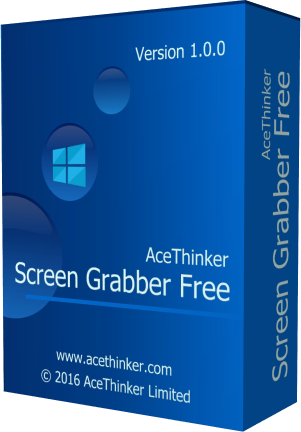 The online app which provides screen capture, image editor and uploader. Simply click to launch this app from your browser and you’re able to capture any part of the screen with ease. You can also touch up your screenshot before saving it to local drive or sharing via social network. Before supplying my email address and signing up for a VIP account what ever that is I decided to test this since the version number suggests this is relatively young software. First the good news it does record system sound on sound subsystems that have no mixer or wav out input pin suggesting it is WASAPI rather than older legacy methods of recording like MME and DirectSound Which is very good and explains why the os support cutoff occours with pre-vista operating systems since WASAPI was introduced with windows vista. Now the questionable... why do you use a bunch of Apowersoft DLLs? Also as soon as the program starts CPU usage rises to 50% to 58% for the AceThinker Music Recorder.exe process when it is just idling! This is not acceptable! It does record system, microphone or system + microphone ok.
Volume control on streaming radio player does not apear to adjust the radios volume and I have to use the systems volume control to bring the volume down from full. And lastly upon choosing Exit from the choice window when closing the main window the program apears to exit , the systray icon goes away too but the AceThinker Music Recorder.exe process remains in task manager eating around 50% CPU resources. The only way to finally exit and let the poor old laptop cool back down is to force End task in the process tab. Still needs more work... this feels like an Alpha release or an early Beta release. Ok, installed this on Vista sp2 32bit with 8G RAM all enabled... Before supplying my email address and signing up for a VIP account what ever that is I decided to test this since the version number suggests this is relatively young software. First the good news it does record system sound on sound subsystems that have no mixer or wav out input pin suggesting it is WASAPI rather than older legacy methods of recording like MME and DirectSound Which is very good and explains why the os support cutoff occours with pre-vista operating systems since WASAPI was introduced with windows vista. Now the questionable... why do you use a bunch of Apowersoft DLLs? 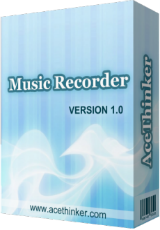 C:\Program Files\AceThinker\AceThinker Music Recorder\ApowersoftConverter.dll C:\Program Files\AceThinker\AceThinker Music Recorder\ApowersoftMusicPlayer.dll C:\Program Files\AceThinker\AceThinker Music Recorder\ApowersoftVideoHelper.dll and C:\Program Files\AceThinker\AceThinker Music Recorder\AudioSoundRecorder.dll by MultiMedia soft Also as soon as the program starts CPU usage rises to 50% to 58% for the AceThinker Music Recorder.exe process when it is just idling! This is not acceptable! It does record system, microphone or system + microphone ok. Volume control on streaming radio player does not apear to adjust the radios volume and I have to use the systems volume control to bring the volume down from full. And lastly upon choosing Exit from the choice window when closing the main window the program apears to exit , the systray icon goes away too but the AceThinker Music Recorder.exe process remains in task manager eating around 50% CPU resources. The only way to finally exit and let the poor old laptop cool back down is to force End task in the process tab. Still needs more work... this feels like an Alpha release or an early Beta release. First thing that I noticed is completely the same user interface as Streaming Audio Recorder from Apowersoft,so I suppose this is some kind of rebranding. In fact this is the same program,with same functions-and it is very good.Plethora of functions(audio converter and editor,video to MP3 converter.ID3 tagging,transfer music to I-Tunes...).You can download music from almost all popular platforms just by pasting URL(click on Download-than on Video to MP3 converter(by default,You can choose different format in program options)-new window with will pop up-just paste url(program detects source),choose output format(MP3,MP2,M4A,WMA,AAC,AC3,FLAC,WAV) and output quality and click on add to dowload)..Downloading if very fast,output quality is very good. As I wrote there are many more useful options, in fact this piece of software was one of biggest positive surprise's found on giveaway sites (I tested many music downloaders claiming ''our software can download music from bla,bla,bla platforms''-but after testing those ''powerful'' tools-only downloading from YouTube was working. Cons-it worked only for limited time despite claiming that that version is forever..of course this does not diminish the value and quality of this excellent tool...This time with new name! as always--sorry for my bad English-I learned it by myself. First thing that I noticed is completely the same user interface as Streaming Audio Recorder from Apowersoft,so I suppose this is some kind of rebranding. In fact this is the same program,with same functions-and it is very good.Plethora of functions(audio converter and editor,video to MP3 converter.ID3 tagging,transfer music to I-Tunes...).You can download music from almost all popular platforms just by pasting URL(click on Download-than on Video to MP3 converter(by default,You can choose different format in program options)-new window with will pop up-just paste url(program detects source),choose output format(MP3,MP2,M4A,WMA,AAC,AC3,FLAC,WAV) and output quality and click on add to dowload)..Downloading if very fast,output quality is very good. As I wrote there are many more useful options, in fact this piece of software was one of biggest positive surprise's found on giveaway sites (I tested many music downloaders claiming ''our software can download music from bla,bla,bla platforms''-but after testing those ''powerful'' tools-only downloading from YouTube was working. Cons-it worked only for limited time despite claiming that that version is forever..of course this does not diminish the value and quality of this excellent tool...This time with new name! as always--sorry for my bad English-I learned it by myself. I used the six-digit integer 5542?? to register, and seemingly it worked fine. However, I notice that the "[Giveaway] License information for AceThinker Music Recorder (Ref: 599db4b4????)" has that roughly 13-digit alphanumeric ref number. Who knows whether that's important. To make matters worse, the text of that page contains yet another alphanumeric, this one with dashes: Keycode: ?????-CB61P-Q07GN-632A2. Come on, people. Three of those cryptic fields for one download? Does anyone agree that seeing all those three fields is not a good user experience? This is particularly galling because I have had several instances when I go through the registration instructions, and a few days or weeks later when I get a chance to try it out, the software tells me it's not registered! So I would really like to know if the dev thinks it's sensible to associate three unfriendly fields with a single download? 5542? ?, and 599db4b45b?? ?, and ?????-CB61P-Q07GN-632A2 ! For just one download you show me a verification code, a keycode, and a reference number<\i>? Please. I have enjoyed GAOTD for years. If a week or two down the road this piece of software starts complaining that it's not registered, or they want money, or something, I'm done with GAOTD. It happens more and more often, and it's not worth the hassle. I used the six-digit integer 5542?? to register, and seemingly it worked fine. However, I notice that the "[Giveaway] License information for AceThinker Music Recorder (Ref: 599db4b4????)" has that roughly 13-digit alphanumeric ref number. <i>Who knows</i> whether that's important. To make matters worse, the text of that page contains yet <i>another</i> alphanumeric, this one with dashes: Keycode: <b>?????-CB61P-Q07GN-632A2</i>. Come on, people. <i>Three</i> of those cryptic fields for one download? Does anyone agree that seeing all those three fields is not a good user experience? This is particularly galling because I have had several instances when I go through the registration instructions, and a few days or weeks later when I get a chance to try it out, the software tells me it's not registered! So I would really like to know if the dev thinks it's sensible to associate <i>three</i> unfriendly fields with a single download? 5542? ?, and 599db4b45b?? ?, <i>and</i> ?????-CB61P-Q07GN-632A2 ! For just one download you show me a <i>verification code</i>, a <i>keycode</i>, and a <i>reference number<\i>? Please. I have enjoyed GAOTD for years. If a week or two down the road this piece of software starts complaining that it's not registered, or they want money, or something, I'm done with GAOTD. It happens more and more often, and it's not worth the hassle. Thanks for your interest in AceThinker Music Recorder.On behalf of tech support team, we would like to express our sincere gratitude to you. In order to help you better utilize this tool, we just place this post here with useful guides and more. Also, if you have any suggestions or questions regarding this product, you could either send your feedback here or post in the support center as mentioned below. Note: Please follow the instructions of Giveaway of the Day to install Music Recorder on your computer. Once it's installed, you only need to enter in key code and activate the program within 24 hours. 1. Activate the software, click "Log in & Sign Up" on the pop-up registration window and then click "Sign Up". 2. Enter your email and password to proceed sign-up step. Then you'll receive a verification code via email immediately. Please note that this is to verify your account and not the registration keycode. 3. Copy the verification code from your email, resume to the software and then setup your account. 4. Now click into your account again, click “Active” on the pop-up window (or click the user’s icon on top-right menu) enter your registration keycode directly into the field. 5. Click “Confirm” to finish your registration and enjoy! If you have any problems or suggestions about our product, please feel free to send us your feedback via online form or drop an email to support@acethinker.com. Hello Everyone, Thanks for your interest in AceThinker Music Recorder.On behalf of tech support team, we would like to express our sincere gratitude to you. In order to help you better utilize this tool, we just place this post here with useful guides and more. Also, if you have any suggestions or questions regarding this product, you could either send your feedback here or post in the support center as mentioned below. <b>Note</b>: Please follow the instructions of Giveaway of the Day to install Music Recorder on your computer. Once it's installed, you only need to enter in key code and activate the program within 24 hours. <b>User Guide</b> <a href="https://youtu.be/0snvzKgOpic">Registration Guide (Video)</a> <a href="https://acethinker.com/music-recorder/guide">Software User guide</a> (Webpage) <a href="https://youtu.be/fSHVzh_s0As"> Software User Guide</a> (Video) <b>Important!</b> Please follow the instruction below to register the software properly: 1. Activate the software, click "Log in & Sign Up" on the pop-up registration window and then click "Sign Up". 2. Enter your email and password to proceed sign-up step. Then you'll receive a verification code via email immediately. Please note that this is to verify your account and not the registration keycode. 3. Copy the verification code from your email, resume to the software and then setup your account. 4. Now click into your account again, click “Active” on the pop-up window (or click the user’s icon on top-right menu) enter your registration keycode directly into the field. 5. Click “Confirm” to finish your registration and enjoy! <b>Tech Support</b> If you have any problems or suggestions about our product, please feel free to send us your feedback via <a href="http://acethinker.com/support/contact-us.html">online form</a> or drop an email to support@acethinker.com. AceThinker, Duration of the License? For Life? 1 Year? Ernest2, the duration is for life but the update is available for 1 year, thanks.